The Butterfly Collective will provide the export permit required, but it is the responsibility of the customer to provide the import permits required by the country of destination. Customers in the United States and Canada require an import permit issued by the Department of Agriculture. 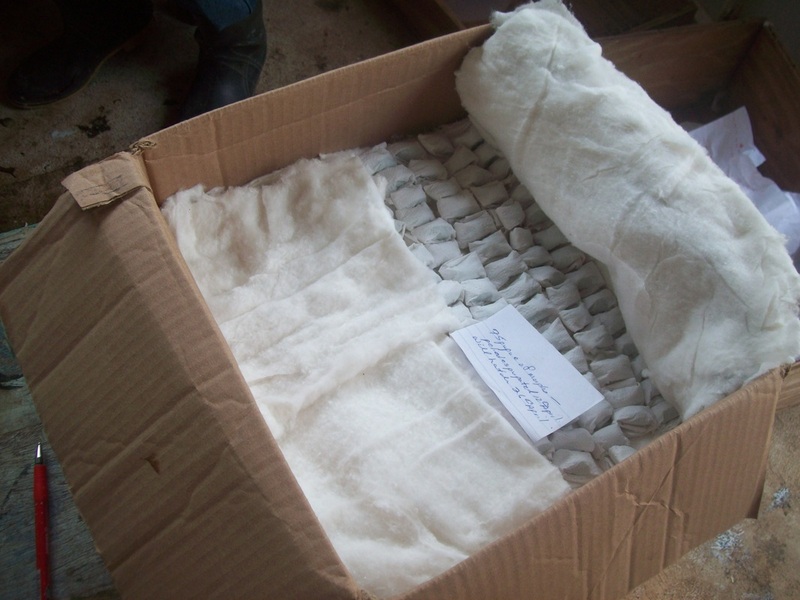 All pupae are individually wrapped in toilet paper, carefully placed on cotton sheets, and packed inside an appropriately sized box. 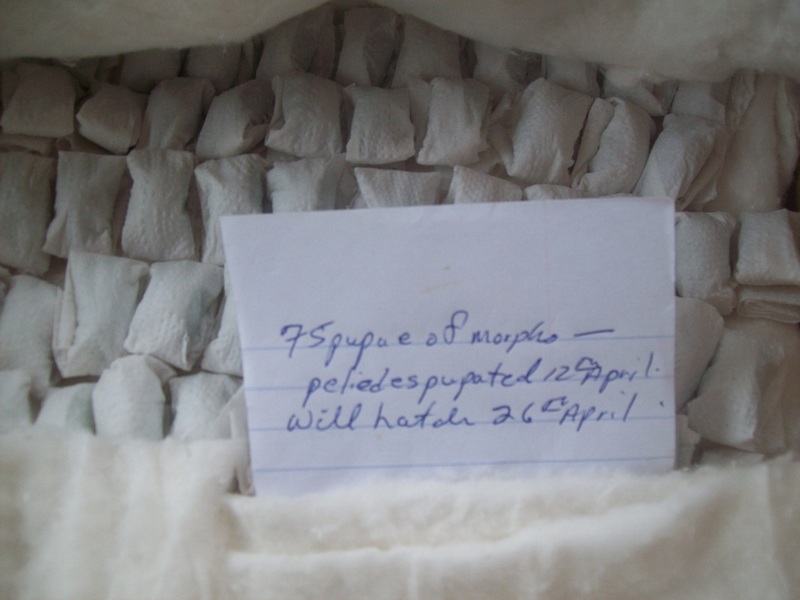 There are also written details of when each set of caterpillar pupated, and when they’re expected to hatch. The package is delivered through international express mail services like DHL and FedEx. All costs of shipment (postage, customs declaration fee) will be paid by the Butterfly Collective if the customer purchases 100 pupae or more. 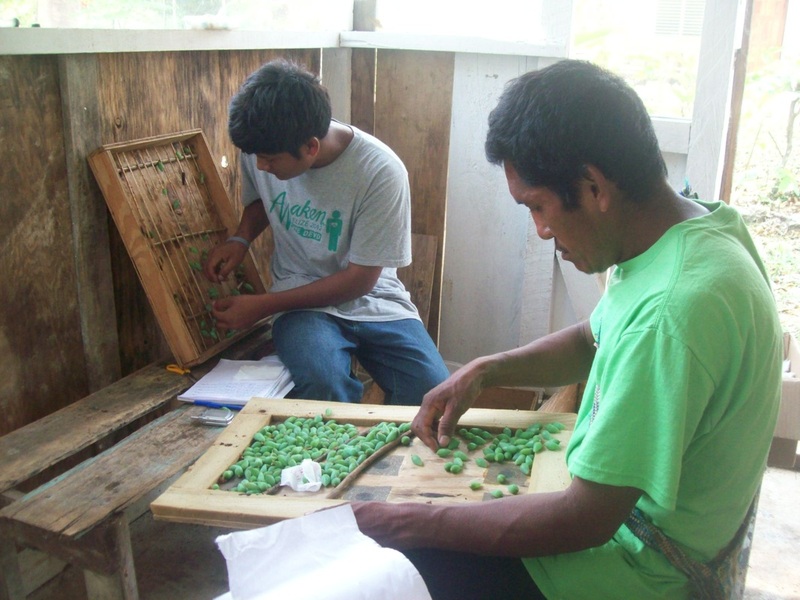 For purchases of less than 100 pupae, the buyer will pay for the shipment costs. Currently, we ship every Monday to North America. We are flexible in our destination of shipment and the date of shipment. We expect the shipment to reach North American and Europe in three days. We have a large supply of Blue Morpho pupae available all year round. We are currently working on raising other species of butterflies. Please email us to find out about the latest availability of species. We only export A1 quality pupae. With our careful inspection, none of our pupae have been rejected during our past three years of shipments. 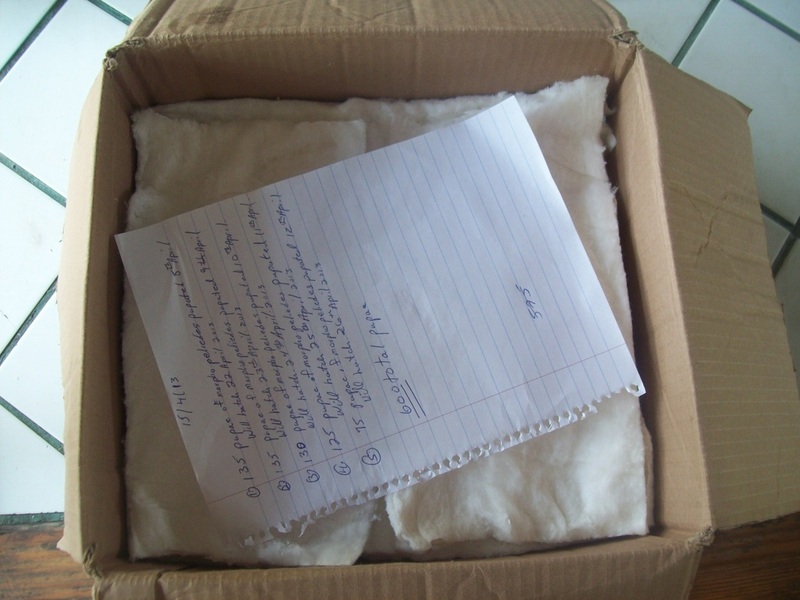 We will not charge for any pupae that arrive at the destination damaged or in poor condition. We charge 4 USD per A1 quality pupae. The payment must be made in USD and sent to our bank account by wire transfer. Bank details will be relayed upon agreement of an order. Please don’t hesitate to contact us with any questions regarding the order process. We are happy to assist you.